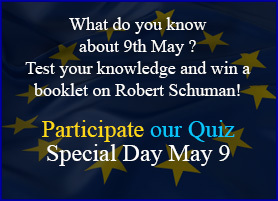 Who was Robert Schuman? Where did he come from? What did he do? What were the major dates in his life? 1886 29 June: Birth in Clausen, a suburb of Luxembourg. 1900 Father, Jean-Pierre Schuman dies. 1904 Baccalauréat at the Lycée Impérial - Metz. 1911 Mother, née Eugénie Duren dies. 1912 Final examination in Strasbourg, called to the bar in Alsace Lorraine - opens own legal offices/Metz. 1913 German Catholic Congress (Katholikentag) in Metz. 1914 Called up for service in an auxiliary service of the German army - Metz. 1915 Seconded to the Civil Service in Boulay. 1919 Elected MP for Moselle, Appointed to the Consultative Council of Alsace Lorraine in Strasbourg (President of the Council for General Affairs linked to administration, legislation and security). 1920 Nominated for the Consultative Council of Alsace Lorraine in Strasbourg (President of the Council in charge of general issues linked to administration, legislation and security). 1924 Re-elected as MP for Moselle. 1928 Elected MP for the constituency of Thionville East. 1929 Member of the Finance Commission (until 1939, Secretary of this Commission from 1932-36). 1936 Elected General Councillor for the Cattenom region. 1940 Nominated Under Secretary for the Presidency of the Council for Refugees under the Raynaud and Pétain governments (March to July) ; 14th September arrested by the Gestapo. 1941 13th April confined to house arrest in Neustadt (Palatinate). 1942 1st August: escape from Neustadt. November: goes underground. 1944 September - Returns to Moselle, Elected MP for Moselle. 1945 Elected MP for the Moselle. Member of the Finance Commission (November 1945- May 1946). 1946 Re-elected MP for the Moselle. Member of the Finance Commission. 1947 Finance Ministry under the Ramadier Government (January to November) President of the Council (24th November to 19th July 1948). 1951 Re-elected MP for Moselle. 1955 President of the European Movement (1955-1961). 1956 Re-elected MP for Moselle. 1960 At the end of his term in office the European Parliament awarded him the title "Father of Europe". 1962 Retirement from political life. Jacques Rigaud : "18 in 1950: the European fortune of an entire generation"